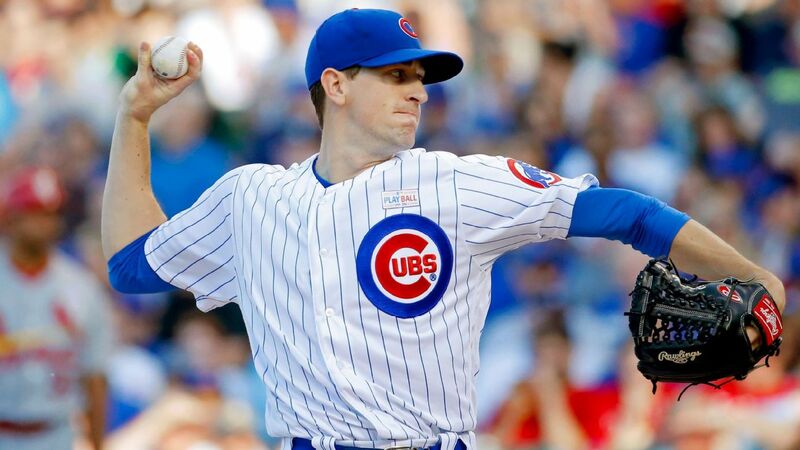 The Chicago Cubs and right-handed starter Kyle Hendricks have agreed on a four-year contract extension with a club option for 2024. Including the deal he already had for this year at $7.405 million, Hendricks will earn $63 million before the option, sources told ESPN's Jesse Rogers. The extension eliminates Hendricks' last year of arbitration. The 2024 option will vest if Hendricks finishes in the top three in Cy Young voting in 2020, a source told ESPN's Jeff Passan. If not, it turns into a club option. The option will be for $16 million and includes a $1.5 million buyout. "I love everything about being a Chicago Cub," Hendricks said Tuesday. "I love everything about the city, about the fans and especially about my teammates in the clubhouse. That's where my focus is at. As much as I'll revel and be excited about this, our focus 100 percent is on Thursday and the season. That's what I told the guys in there. I want to be with them as long as I can." Hendricks, 29, is an anomaly in today's pitching world, with his fastball topping out in the low 90s. He uses control and a devastating changeup to get hitters out. That combination resulted in the lowest ERA (2.13) in baseball in 2016, the year the Cubs won the World Series. He went 16-8 that season and finished third in Cy Young voting. Hendricks was 14-11 last season with a 3.44 ERA in a career-high 199 innings and 33 starts. "He's a great example for every player we have in the organization," Cubs president of baseball operations Theo Epstein said. "Kyle is making a big step forward as a leader. A lot of guys look up to him and the way he goes about his business." The Dartmouth College product was an eighth-round pick by the Texas Rangers in the 2011 draft. He came to the Cubs in the 2012 trade that sent Ryan Dempster to Texas. "They all said he gets the absolute most out of his abilities," Epstein said. "Here we are seven years later, and it's 100 percent true. If you look at the numbers, he's one of the most effective starting pitchers in the game. "The names on that list are guys on Hall of Fame trajectories. Kyle's in rare air for what he's done."